In a mobile food business, food truck sales are what will determine if you are able to make it through your first year of operation. 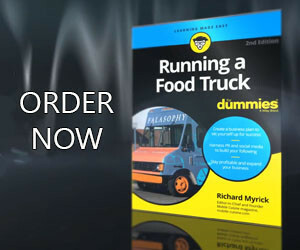 Projecting your future food truck sales is a critical step in ensuring that your business is profitable. Before you open, it is definitely worth it to have an idea of whether or not your sales will support your business needs. Pulling a number out of thin air does nothing for you, and although there is no actual formula for projecting sales for your start up making a well-informed guess is critical to planning your first-year funds. We have put together some guidelines for estimating the amount of funds you can bring in from your mobile food truck or cart in its first year. Do not base your estimations on how many people you can serve with your truck or cart at full capacity, since this may be unlikely for your first year of business. Figure out how many customers you can serve and then plan for about 75% of that case. Pay attention to your area demographics. People may flock to a similar cuisine food truck in the area already, but may not be excited about going to yours, or vice versa. A lot depends on your concept and where or when you will be serving the public. By now you will likely have a few specific areas you plan to use as regular locations, or at least a general idea. A great way to learn about how many of walk up customers you may expect is by comparing your potential business to existing mobile kitchens in the area. Visit trucks or carts of similar size and cuisine type. Although these businesses may turn out to be your competitors, you can obtain valuable information by observing how many covers they serve during peak hours. You may even speak with the owner to learn about how many covers they see in a week. Once you have a customer count estimate, you will need to come up with a per person average based on your menu prices. Make sure you use middle-of-the-road cost values from your menu to figure this out. That means choosing moderately-priced menu items in lieu of the least pricey or costliest. After all, you cannot expect all of your guests to buy the most expensive item on your menu every time. In general, your sales are a function of how many people you serve and how much they spend. Also, be sure to take in to consideration the difference in number of customers and per customer spending averages for different meal periods. For example, lunch periods tend to bring in lower average sales than dinner periods, unless you are able to find locations to park in central business district where there is a lot of foot traffic and hungry workers. Days of the week will also bring in different sales as well. For example, Thursday nights are usually more profitable for food trucks than Monday nights. Generate a chart showing estimated number of customers per meal period each day, as well as the per person spending average. After mapping out sales projections for the week, some mobile food vendors will merely multiply their weekly sales totals by 52 weeks to get a year’s sales projection. Other owners will divide the year into seasons to reflect the business they will receive during different times of the year. This is a little more complicated because seasons vary depending on region, but it can be more accurate since some months are usually busier than others. Think about what an average week’s sales might look like, and then ask yourself what you might make in the work of a slow week and in the work of a busy week. Consulting seasoned food truck employees or owners in your area will help you to decide what kind of traffic or sales volume to expect at different times of the year. These estimations will vary from truck to truck, depending on your menu and your locations. After even a few months of operating, you will have a much better idea of what to anticipate as far as sales go, and you can alter your estimations accordingly. You should also evaluate your operations and promotion efforts if sales are not matching the projections in your business plan. Running a mobile food business is no small endeavor, and you are more likely to succeed when you have done the appropriate research and made some rational estimates. Figure out what you might expect as far as visitor attendance and sales per person by checking out the competition and determining what is rational for your idea, location and customer demographics. 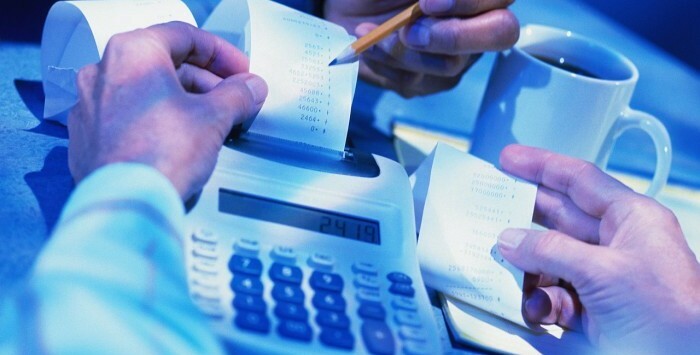 This will also help make sure you are financially prepared for the revenue your rolling bistro will bring in during the course of your hard first year.